I Just Got A Ticket! We represent individuals who have been cited for violations of traffic laws, municipal ordinances, and class A, B and C misdemeanors. We don't offer worthless guarantees. We don't conceal your real cost behind hidden extras. We do speak plainly, and we do strive to deliver great results at great prices. We don't think you should expect anything less from your lawyers. Whether you just got a ticket, you're worried about old tickets you never attended to, or you're concerned an arrest warrant is out there with your name on it, we're here to help! Click the button to find out! Got one? Call us at 214 575 6060 and we'll lift it! Where Can You Help Me? Click for the cities & counties we work in. If you just got a ticket, and your initial court date is still at least three days away, we'll take care of it for $40 in Dallas. If you have more than one Dallas ticket, we offer even deeper discounts. Representation in cities surrounding Dallas is an additional $30.00. For tickets from cities and counties contiguous to Dallas County our prices are just a little higher; you can call 214 575 6060 and we'll give you an estimate over the phone. For a precise quote, click on Hire Us! and fill out our form. If you have a warrant, we’ll post a surety bond to lift it, set you on the attorney docket, represent you in court and seek a dismissal or negotiate a favorable plea arrangement to keep the citation off your record! Texas municipal courts and justice of the peace courts hear class C misdemeanor criminal cases, including traffic violations, for which the maximum fine, upon conviction, does not exceed $500, and for which no jail sentence may be assessed. They also hear cases involving violations of city ordinances, which may have fines up to $2000 for certain offenses. So, if you’ve been cited to appear in court and you want a lawyer to defend you against one or more traffic charges, municipal ordinance violations, or class A, B or C misdemeanors contact us today! We never forget we're working for you! If It's Between 8am & 6pm M-F We'll Call You Back Immediately With A Quote. I was very pleased with the outcome of my case. I received a speeding ticket, and even though I still had to pay a fine, Winocour Law made a deal that after the fine was paid my case was dismissed. Nice that it didn't go on my record because I drive for a living. Communication and customer service was great! Also was affordable. I highly recommend. Thank you Winocour Law! Winocour Law kept several tickets from going against my driving record for a most reasonable fee. 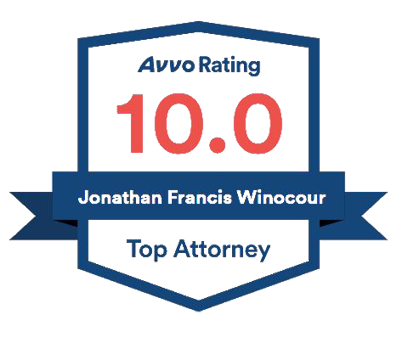 Winocour Law may very well be the best traffic ticket law firm in Dallas, Texas. Mr. Winocour and his staff were very helpful and supportive throughout my case. I had some legal issues that I very much needed help with as there were extenuating circumstances that made the case more complicated than it should have been. Mr. Winocour is knowledgeable, and did a great job of negotiating a dismissal of all charges. I'm very pleased with the results he was able to get for me. I highly recommend Winocour Law! Awesome outcome... I had 3 tickets and they got them ALL dismissed. Great communication from beginning to end! I highly recommend!!!! My wife got a ticket for "obstructing emergency vehicles" and they took care of it . I paid $50 for the service and they were able to reduce the fine by about $30. So, the real cost of hiring Winocour Law was just $20. Amazing!!!! Being a senior citizen, I had traffic tickets from way back and didn't know where to turn to get help in solving/paying. I found Winocour Law on the internet and decided to try to get my problem resolved. It has been great. Now I can take the written test and driving test to get my license. It will be enjoyable to drive a vehicle. Something I haven't done in 7 years. Thanks Winocour! Winocour handled EVERYTHING when I got my speeding ticket. It was a great way to delegate work I didn't have time to do. The firm was very quick and always available to answer all of questions and more. I'd definitely use him again. I used this firm to resolve a citation my son received. They've been outstanding through the entire process and help get his fine reduced. The fees are very reasonable. I would definitely recommend this firm to friends and family. Best in Town! They are honest, dedicated and have excellent service. If you need an attorney this is your law firm. They will be honest and give you the best service. Communication is always there. I'm very pleased with the services I received and will recommend them to anyone. Best Law Firm In Dallas! This is the best Law firm in Dallas. I did not have to go to court all was take care of for me. I did not have to miss work. They were honest and friendly. They were straight forward with me. If I ever find myself in this predicament again I know who to call. You are awesome!